1. Come in person to the Media Center between 8:00am-3:00pm. We accept cash, checks (made out to MCE PTA) and credit/debit cards! 2. Send cash or check (made out to MCE PTA) for the total amount** to school with your child along with their wish list. Each class will have an opportunity to attend the book fair again on Tuesday and Wednesday for the children who are planning to make purchases. If you'd like to circle the books on the wishlist that you allow them to purchase, that is extremely helpful to our volunteers. 3. Attend one of the family nights and make your purchase in person. You are welcome to attend either family night - the content will be identical - as your family schedule allows. All books ordered online will be delivered to the school and distributed to your child's teacher the week after the online sale ends. 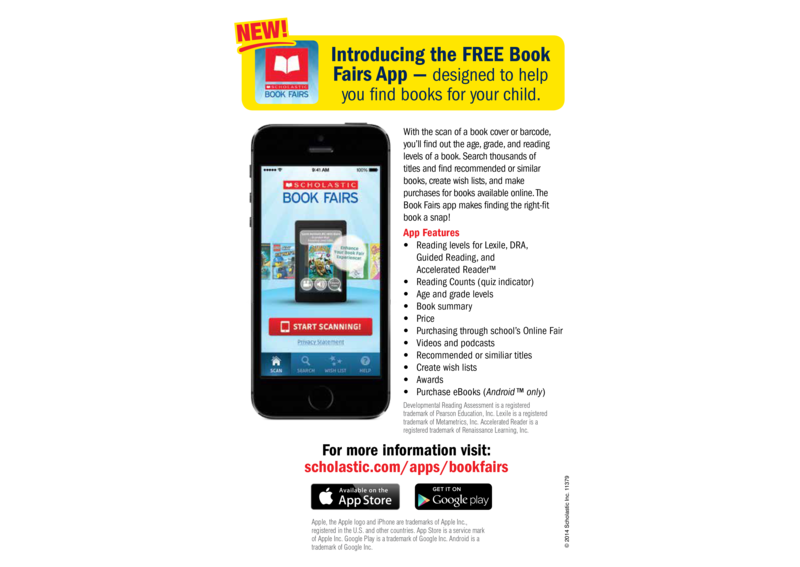 Scholastic has designed a free Book Fair app that you can download to your smart phone to assist you as you shop the Book Fair. 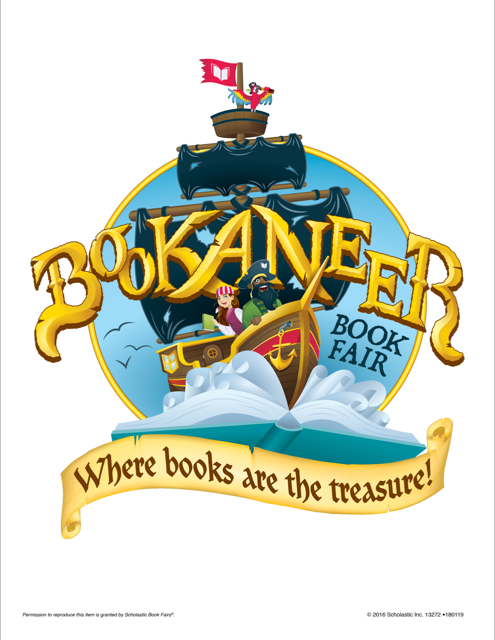 Finding the right books at the Fair is fun and easy with the Book Fair App. Check out the latest features. Download today! More info HERE. Can you help at the book fair? Please visit our sign up here to learn about all the ways you can be part of this great event! We will also be looking for food donations to provide a preview party for our great teachers. Please be on the look out for more info. At Middle Creek, each classroom has a classroom library. Your teachers are in need of books to fill up their classroom libraries. Please make sure to stop by the Classroom Wish List poster board - located in the Media Center - to purchase a book for your child's classroom library. Please also do not forget to purchase books for our specialists, CCR teachers and AU team to fill up their classroom libraries. This is a great way to show your appreciation for the outstanding staff at Middle Creek Elementary! Throughout each book fair week, the penny wars begin! Each week, the grade levels are pitted against each other to compete to see which grade level can come up with the most loose pocket change. Pennies count towards your grade level's total and silver coins count against the total. (So bring in lots of quarters, dimes and nickels and fill up your sibling's grade level jar.) :-) The winning grade level gets bragging rights for the year and great community service satisfaction that they have bought a lot of books for kids who would otherwise not be able to purchase a book for themselves. The money remains here at MCE and is used to purchase a book for each child involved in the Holiday Helpers program run by Mrs. Fillard. Any leftover funds are used to purchase an additional book for their Holiday presents.